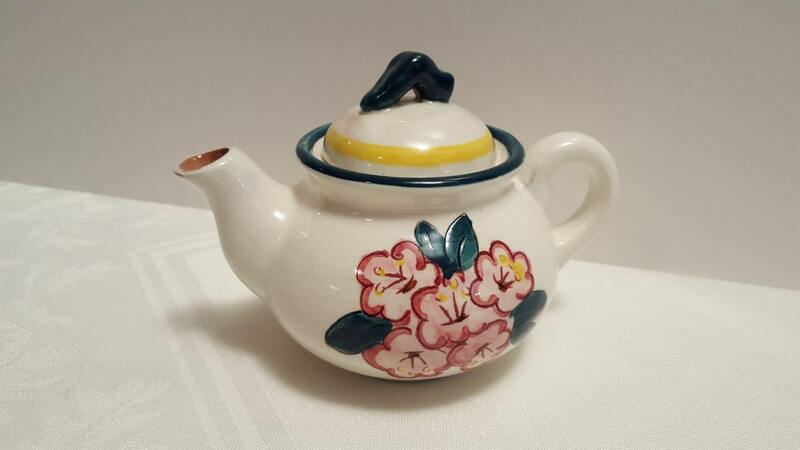 This Stangl Mountain Laurel Individual Coffee / Tea Pot #3745 is hand-carved and hand-painted. It is a beautiful early piece of Stangl that has hand-brushed engobe. It has no chips or cracks. Please inquire if you would like to purchase additional pieces in this pattern. Stangl Mountain Laurel was designed by Cleo Salerno and introduced in 1944. Looking for that special piece of Stangl to complete your collection? We can help! Please email us about our offline inventory. Excellent customer service and superb packaging. Easy transaction. Trust this vendor to be knowledgeable and fair. This arrived exceptionally well packaged to Japan and exactly as photographed! Beautiful pottery that will make every cup of tea magical. Very prompt shipping as well. We accept returns within 10 days of you receiving your order. A refund of the purchase price occurs after we receive the returned item in its original condition. When Etsy's calculated shipping is higher than the actual cost, we refund the excess. We are happy to combine shipping on multiple orders. We are happy to provide layaway/payment plans. To inquire about this payment option, please contact us through the "Ask a Question" button on the item's listing. Generally, we come to agreement with you about a payment schedule. Each payment is separately invoiced. We ship your item once the balance is paid in full. All payments for layaway/payment plans are nonrefundable.